There’s a parallel with having children here. You forget just how fast they grow! Only a day or two old, the ducklings are thriving. 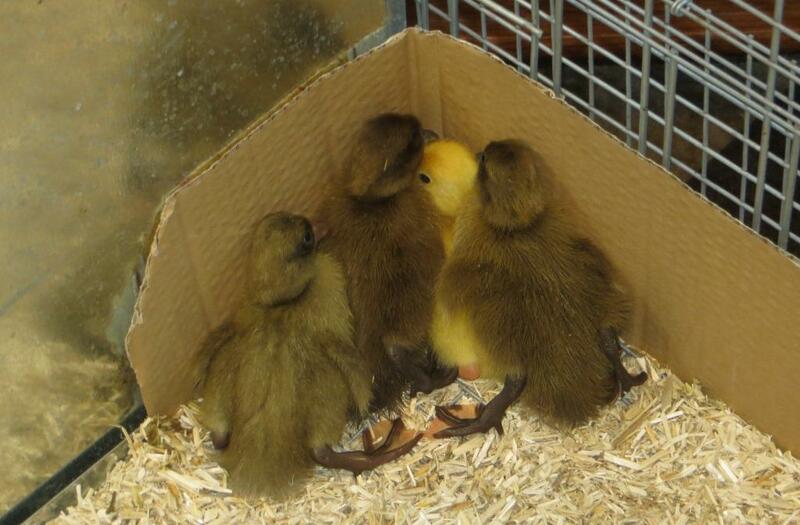 The pictures are taken a little distance from the brooder so as not to frighten them. The cardboard wall is to prevent too much Aubiose from being kicked out onto the floor! Maybe if we huddle in the corner and ignore the big scary humans, they’ll go away!